Generally speaking, it seems like a good idea to “get along” with industry peers, no matter what business you are in, at least in the spirit of friendly competition. Especially in the case of online services, you never know when you may want to partner up with the competition — or even acquire another company out there (exception: GoDaddy). In the case of Flywheel, however, they are PISSED at us, apparently. Wow, okay that sounds serious. As much as we enjoy competition, I’ve always been passionately anti-defamation. This is simply not true; a large number and perhaps even a majority of domains that are hosted on Flywheel reside on a shared server. It doesn’t really matter if multiple customers are sharing a server between 1000+ websites, or a single customer is sharing a server between 10+ websites, it is still technically “shared” servers and not dedicated computers. Perhaps true, but we clearly mention “per website”. 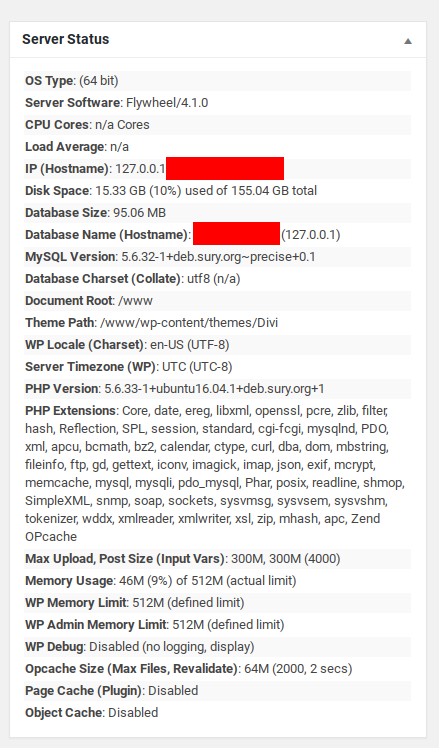 Like some other “managed” WordPress hosts, Flywheel does not publish information on their datacenters; in fact they go so far as to block the server IP address and other data from PHP and WordPress scripts. They are widely believed to still use DigitalOcean, as they did several years ago, however unless they confirm this it’s impossible to know whether their backups to the AWS cloud is in fact “remote” or part of the same datacenter where they host client websites. A recent test indicates that a few of our recent Flywheel clients were in fact on the Vultr cloud. For now we’ve updated our chart to say “YES” for this category rather than “NO”. This one’s an outright lie. Even on their own FAQ page, it clearly states that, “The majority of Flywheel’s servers are located in New York City, and by default, that’s generally where we’ll put your site unless otherwise specified.” Obviously, hosting a site in New York would be an extremely poor choice for a company from somewhere like Singapore, especially when this is apparently done without the knowledge of Flywheel customers. Perhaps true, but we already said your customers can opt for this by request. In contrast, LittleBizzy guided every single one of our clients onto PHP 7 and MySQL 5.7 in the last year, without exceptions. Obviously this may have been easier for us due to our smaller size compared to massive hosting companies, but the truth remains. I get it, Flywheel. When we link to a Pingdom speed test showing that your homepage takes nearly 10 seconds to finish loading, it doesn’t exactly reinforce your marketing message of a performance-driven platform. But before this whiny, unsubstantiated rant, we actually thought maybe you were one of the better options out there. Besides LittleBizzy, you are likely the only WordPress host out there that offers free migration on every single incoming domain, which is impressive. Unfortunately, you seem to have embraced the likes of GoDaddy or WP Engine as growth models for your business – SCALE! SCALE! SCALE!… regardless of server quality or website stability – instead of complementing the technology and uniqueness behind WordPress, and allowing your sales to grow more naturally through satisfaction. I personally responded to Flywheel’s emails explaining each point on our comparison chart: Yes, every single website on our network runs PHP 7 and MySQL 5.7. Yes, every single website on our network gets its own dedicated VPS server. Yes, every single website on our network comes with free remote backups, meaning that data is not stored in the same server cluster/datacenter as the websites they are supposed to be securing. Etc, etc, etc. Apparently Flywheel had believed that we only offered some of these features on a per-case basis (like 99% of other web hosts do, and like they themselves do) instead of across-the-board for every single website that joins our web hosting! After confirming our environment to them, and requesting them to re-clarify if anything in our comparison chart was inaccurate knowing this, Flywheel refused to respond further, and slunk back off into their hole of ambiguity. A very fine lesson: instead of getting angry at other quality services in the market, figure out how to outshine them. In fact, sometimes it just comes down to launching a comparable feature that is working elsewhere, right? This is why we love transparency — because when you put quality first, being transparent can only help!